The Suwannee River is the second largest river in Florida, flowing from Georgia’s Okefenokee Swamp to the Gulf of Mexico. At the Gulf, the river serves as the boundary between Levy and Dixie counties, on Florida’s Big Bend. This part of our Nature Coast is secluded, and therefore offers some excellent angling without the hustle and bustle of ports to its south and north. 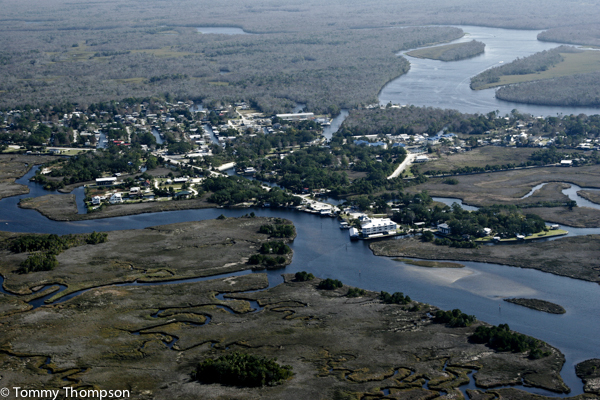 The town of Suwannee lies between the main river and Salt Creek, to its north. 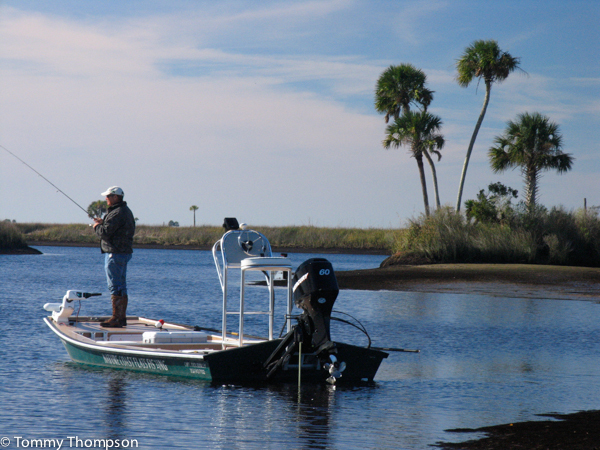 Inshore fishing at Suwannee centers around the islands and creeks at the mouth of the river. Favorite spots include Salt Creek, Dan May Creek and Barnett Creek. All three creeks are famous for wintertime seatrout fishing, but all hold redfish throughout the year. Nearshore, you’ll find pelagic species such as Spanish mackerel and bluefish atop Red Bank Reef or Hedemon Reef, just offshore. And for the offshore enthusiasts, Suwannee offers excellent access to Spotty Bottom, where grouper and king mackerel congregate in season. Suwannee's creeks offer excellent scenery--and better fishing! Complete local information, as well as marine services, can be obtained at Miller’s Marina or at Suwannee Marina. Or, pick up a copy of The Saltwater Angler’s Guide to Florida’s Big Bend and Emerald Coast at your local bookseller, tackle shop, or at Amazon.